How will the Love The Drive™ wind deflector increase my driving fun? The Love The Drive™ wind deflector changes the airflow through the car so that wind is diverted over the back of the car instead of swirling inside the interior of your car. We have proven to dramatically decrease the “blow back” effect, wind buffeting and turbulence inside the cabin by up to 75%. So you can drive your convertible in more comfort all year long. You can drive earlier in the spring and later into the fall. Can I put the top up with the Wind Deflector in place? Yes, you can open and close your top with the wind deflector in place. Often people never take them out of their convertible, they just fold down the top panel. Only removing the wind deflector if they need to use the back seat. The wind deflector comes with a storage bag and the wind deflector will fit in the trunk. Are you Accredited with the BBB? Yes, we are an accredited business of the Better Business Bureau and have and A+ rating. Quality and Service are very important to us – and our customers! What is the Love The Drive™ wind deflector made of and how much does it weigh? The product is made of an extruded aluminum tube and industrial-strength plastic injection molded pieces, which make up the frame. A nylon/polyester mesh fabric blend is stretched over the frame and held in place by a custom rubber T-gasket. The average weight of the wind deflector is 3 to 5 pounds. Does the Love The Drive™ wind deflector come with a warranty? The wind deflector comes with a 90 day money back guarantee and a one-year warranty. Can I see through my Love The Drive™ wind deflector? Yes. Your Love The Drive™ wind deflector features a fine mesh fabric screen that leaves rear-view mirror visibility unaffected. Do I need to drill holes in my car or make other alterations? Will my wind deflector rattle or move around? Does the Mustang with Light Bar model come with the lightbar? No, the lightbar or stylebar is not included. We sell only the wind deflector that is designed to work with an existing Lightbar (Style Bar) from CDC, MMD, Roush, Saleen and Shelby. 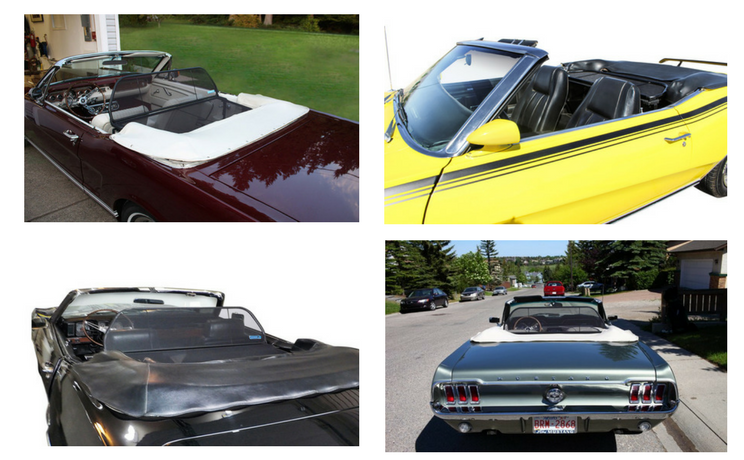 We have wind deflectors designed to work with the Mustangs with Lightbars from the years 2015 to 2020, 2005 to 2014 and 1994 to 2004 and Camaro 2011 to 2015 Sportbars. We have been making wind deflectors since 2005. Yes we do sell replacement wind deflector parts.